This is how young people have fun in Barnaul, Russia. Really scary. 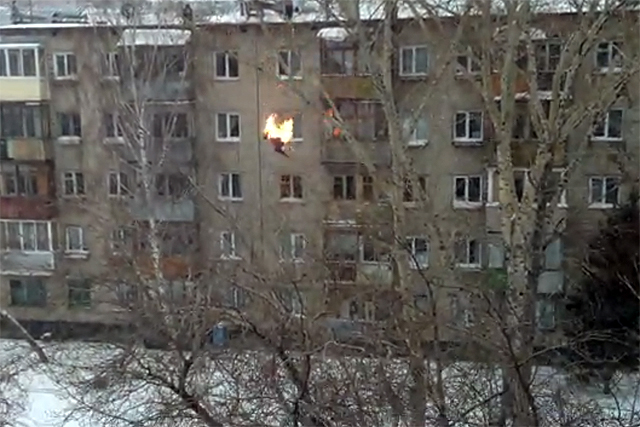 The guy set fire to himself and jumped from the five-storey house … to immediately stand up and say it was cool. A group of amazed teens surrounded the guy and praised him for his courage. Sasha (that very guy) explained that he liked extreme activities and had already been practiсing them for several years. Someday he will be the bravest corpse in the graveyard. This guy will probably end up with shorter than average stunt career.